With rising awareness about the benefits of solar, a large number of organisations and people are venturing into solar business. India has a huge solar potential and if played rightly, a solar company can become very successful in this country. Today there are numerous companies selling solar products or providing installation and EPC services.But in order to be successful, a company needs to do things differently. One such company I came across is Loom Solar headquartered in Faridabad, Haryana. The company is trying to help consumers make more informed decisions regarding buying solar systems and also provides the convenience of buying solar products online, such as solar panel for home, solar inverter, solar battery and solar charge controller from the comforts of your home. Not only does the company sells solar products online,but also gets it delivered to almost all the 21,000 pin codes in India within 3 days. LoomSolar is registered with MSME, the government of India and is also ISO certified for providing superior customer experience. Through its online platform, the company offers a large variety of latest solar products from the most popular Indian brands, at the lowest prices.Currently, this company offers a range of 200 products to choose from across 5 popular Indian brands, such as Luminous, Sukam, Microtek, Tataand Schneider. The process of buying solar is still considered complex in India. Loom Solar through its online shopping platform aims at easing the process by offering transparency, evaluation, and selection of product at each stage. Easy to purchase platform, pan India presence, online touch points, and customized services are Loom Solar’s key competitive strengths. These factors provide an edge over the competition. The company has a target of becoming the most popular solar brand by 2020. Its mission is “Bijli Banao, Paisa Kamao”, changing the way solar energy is bought and sold today. This company was founded by Amol Anand,an ex-employee of Luminous Power Technologies Ltd. having a deep understanding of solar energy. Given, the regular power outages and unavailability of electricity in rural parts of India, he has focused on individual residential family, small solar set up from 1kw to10kw off-grid and on grid solar system, living in rural and urban parts of India. It aims at solving consumers’problems and providing informed updated information online. Due to high pollutions, continuous rise in fuel price and electricity bill, solar energy has become an alternate and a viable option now. 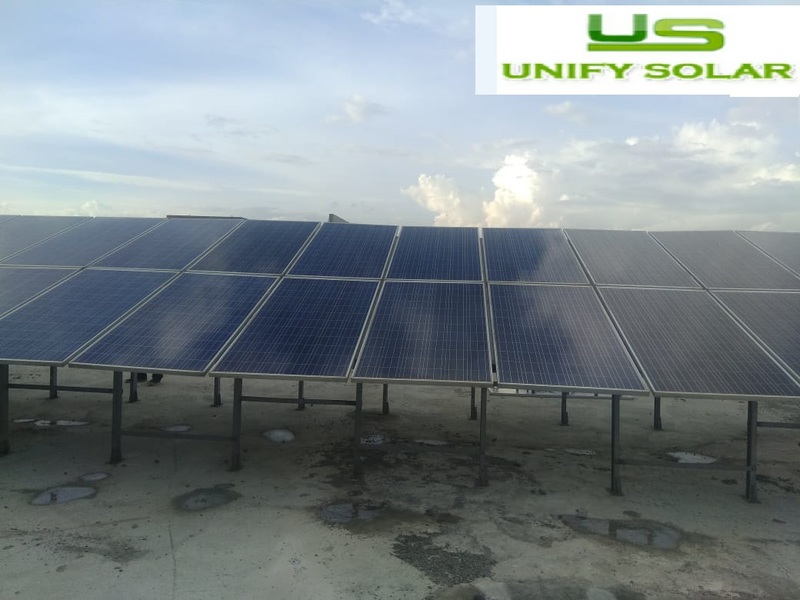 The company stands in a good position to benefit from its growing online presence as it aims to provide detailed product information and comparisons across leading solar brands in India.